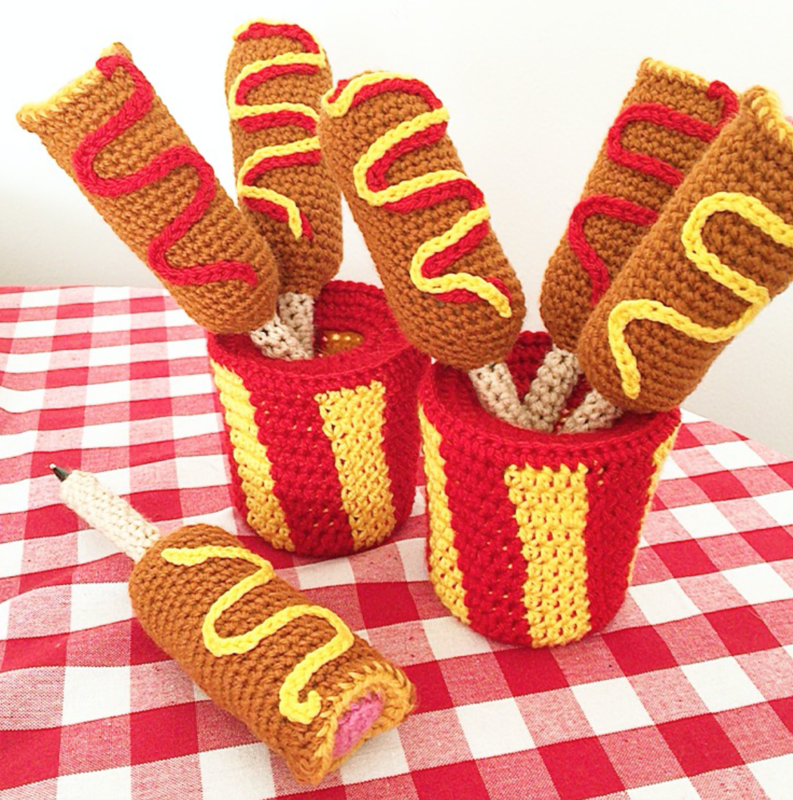 Corn Dog Pen Cozies with Custom Cup Cozies, too! Here’s a quick snap of a fun custom order I just completed. She wanted crocheted cup cozies to store her corn dog pens in, so we met up downtown so she could give me her glasses! 6 Responses to Corn Dog Pen Cozies with Custom Cup Cozies, too! I love how one of the pens has a bite in it! Are the corndogs in your new book and where is the book being sold? I think the pens are crazy and I love ’em! I know several people that would love to have them at their desks at work. OMG…my granddaughter would love those, do you sell them? Do you sell the pattern? The corn dog pen cozy is in my new book Crocheted Abode A La Mode.